I have been buying from Vertbaudet since my oldest boy was a young baby five years ago! I love the designs and look of their clothes and they always seem to have such great offers, and sometimes even free gifts with your order! It is worth signing up their email list so that you get these sent through, and know when you can go and get 40% off and a free gift, or when there is a sale on. I have picked up some really good bargains over the years! As well as clothes, they have some very cute and lovely home wares. For those not familiar with Vertbaudet, they are a French company selling a large range of children’s clothes, maternity clothes, and home and nursery products. 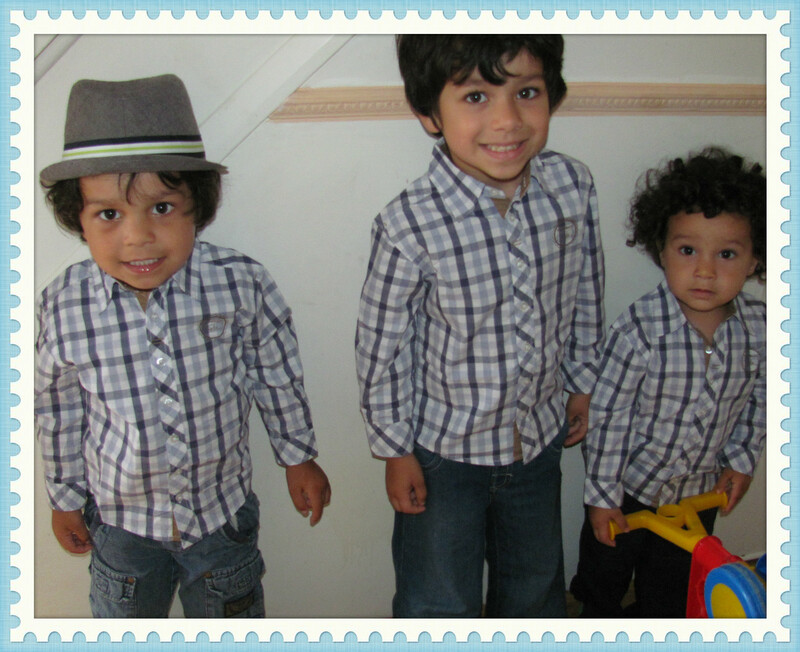 Recently Vertbaudet sent me three shirts for my boys. 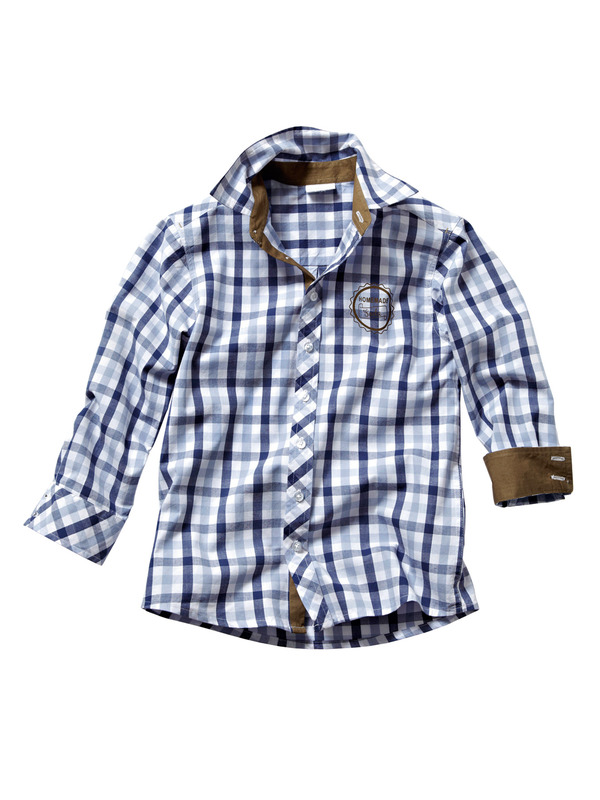 It is this Happy Price boy’s checked shirt in navy check which is from the Autumn Winter 2013/2014 range. It also comes in Burgundy check. I find the Happy Price range great as it is always good value. The prices are not much more than Supermarket but the clothes look very well made and stylish. This shirt is available from age 2years at £13 and goes all the way up to age 13/14. 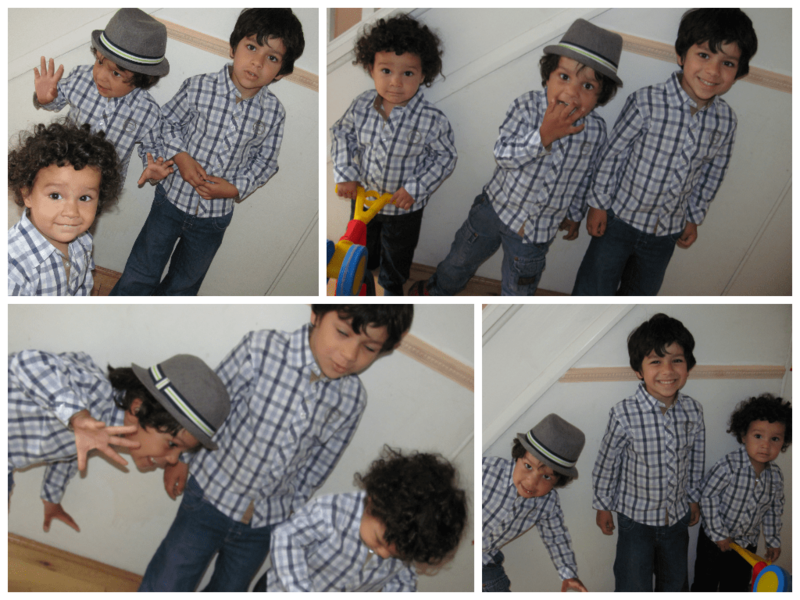 It is not easy at all to get them all three standing still, in a row and all looking at the camera! So here are some of my out takes! What do you think? Have you bought from Vertbaudet before? Lovely shirts and the photos are great. Not a brand I’ve previously bought from – perhaps I should have a look! Mary @over40andamumtoone recently posted…What’s the Story? They must have! I don’t get any problems when shopping with them nowadays! They all look so handsome! I haven’t got anything from Vertbaudet but I might have to go and check them out! yes you should, their girls stuff is lovely! I used to buy from Vertbaudet because they sell such original cue items.